A simple motivation from the eCommerce site can attract a number of customers to shop on the site. 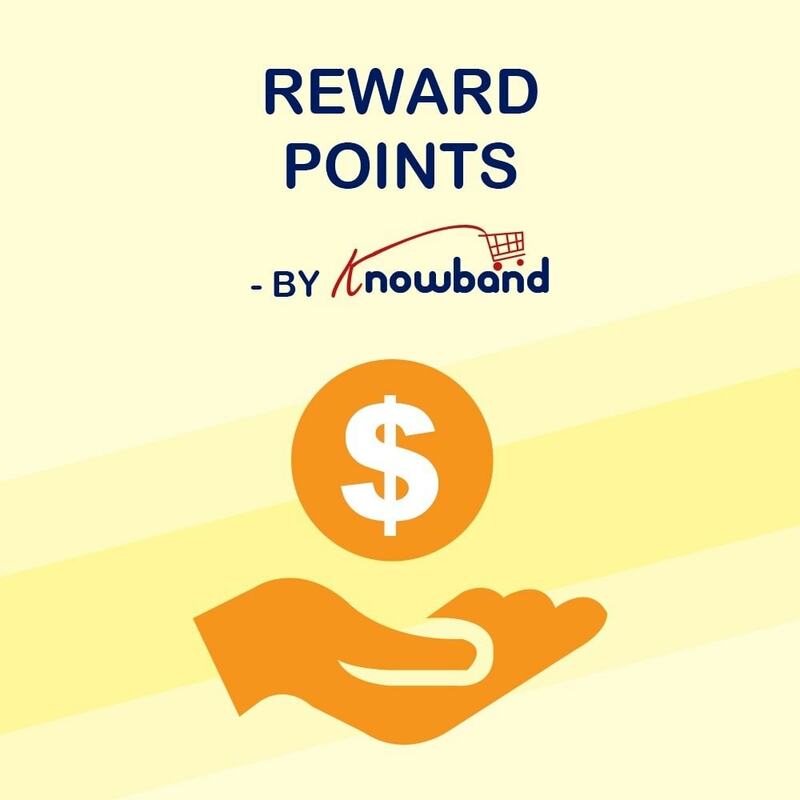 Giving away reward points is one of the simplest and effective ways to generate new as well as repeat sales on your store. This Prestashop Loyalty Points Extension integrates an effective reward points management system in your store. It allows admin to set different rules for customers to earn and redeem the reward points. 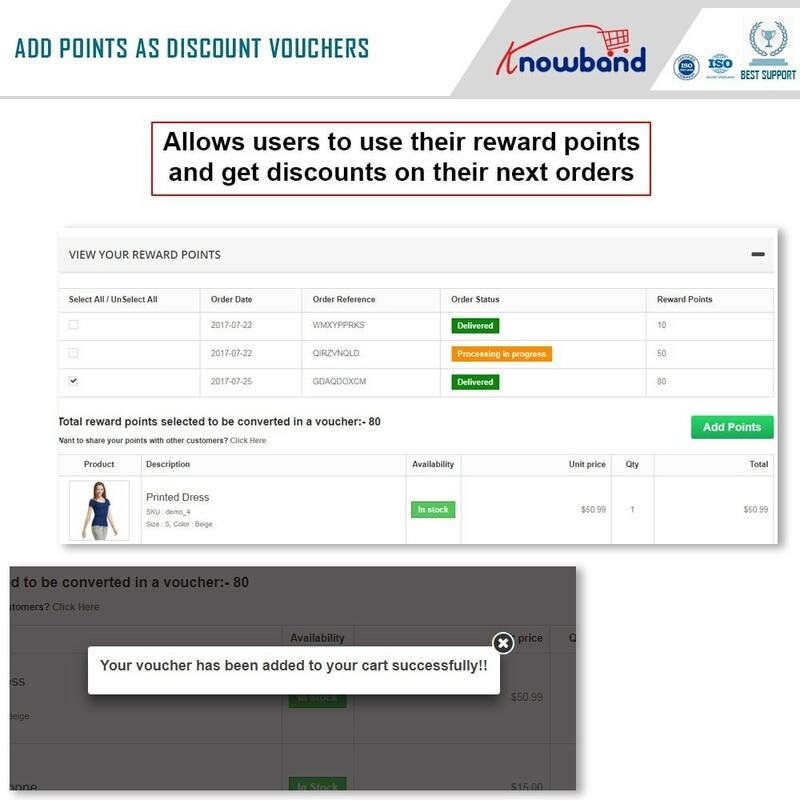 You can allow your customers to earn points on each of their purchases, and then collectively use these points to win a discount on the further purchases. 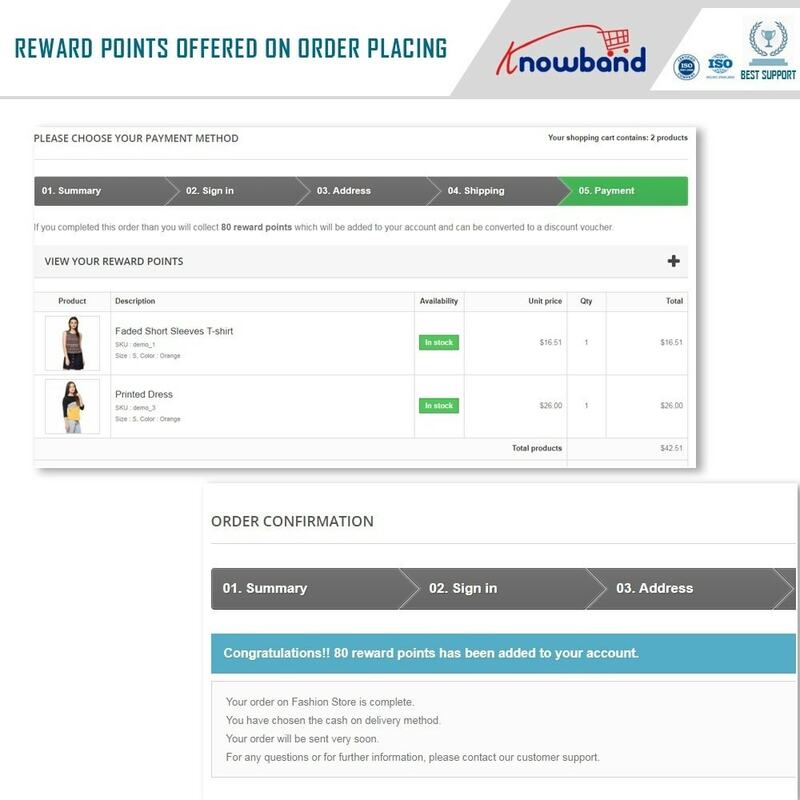 The Prestashop Reward Points Addon also integrates a reward point tracking interface on the front in the customers' account section. This Prestashop Addon helps the users to keep a track of how much points they have earned and how much points they have already spent. It helps you to improve your website traffic. This Prestashop Loyalty Points Addon helps the admin to generate new as well as repeat sales. This Prestashop Purchase Points Addon helps the store merchant to make some loyal customers by giving them attractive discounts. It keeps your customers engaged by encouraging them to shop more and win points. This Prestashop addon helps you to improve your conversion rates and revenue generation. This Prestashop Reward Points Addon enables the admin to improve your popularity by letting customers share the reward points with others. Increase in revenue as customers will place another order to use the reward points. 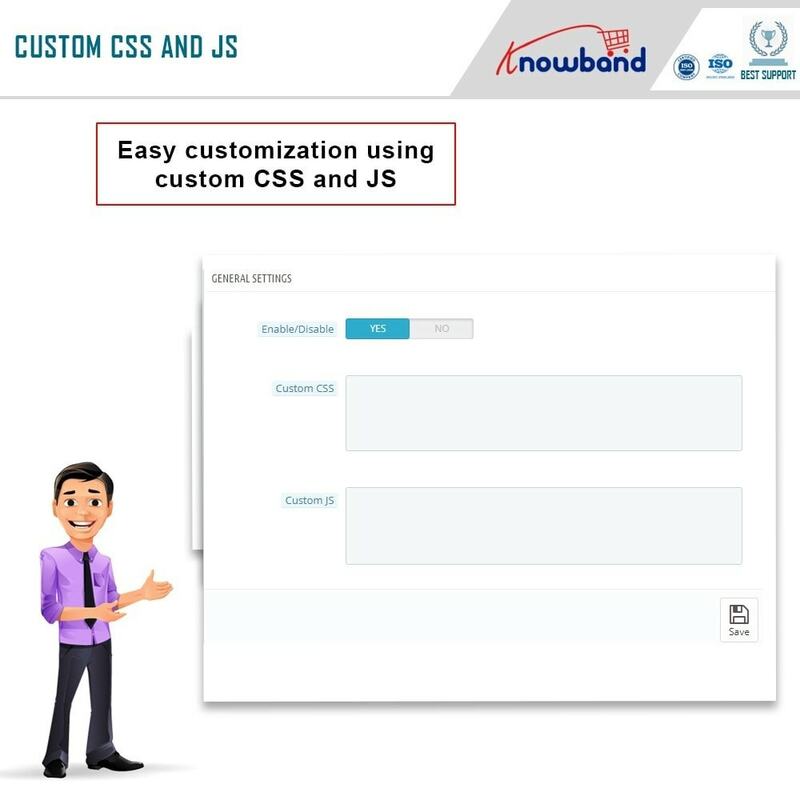 The Admin can add the Custom CSS and JS according to the need. The Admin can set different rules for guest and registered customers, depending on which customers will receive reward points. The Admin can also create N number of discount and reward points rules. 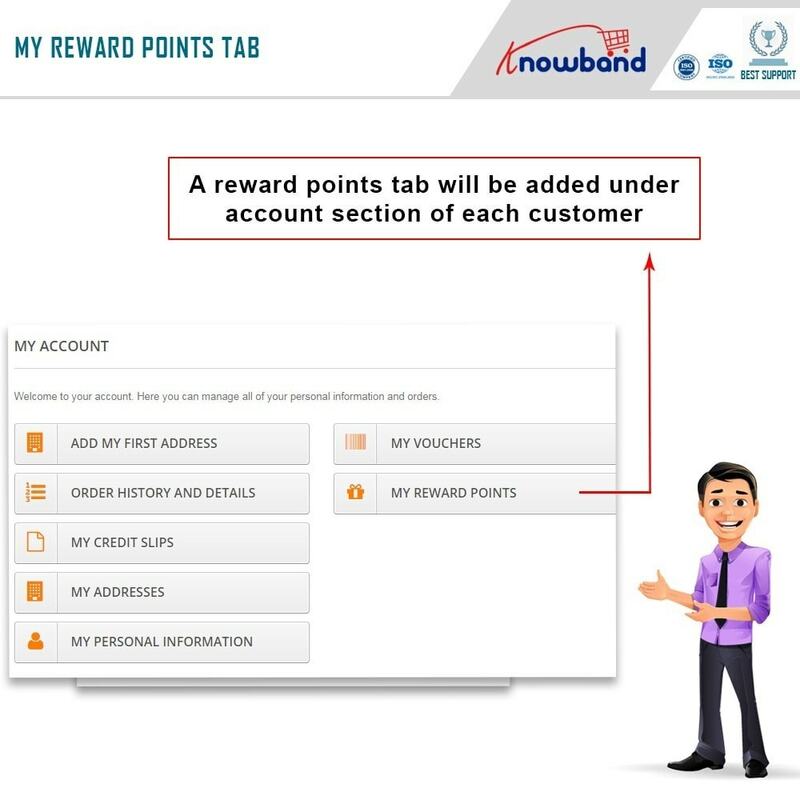 The Admin can set fixed amount or percentage discount on the particular number of Reward points. 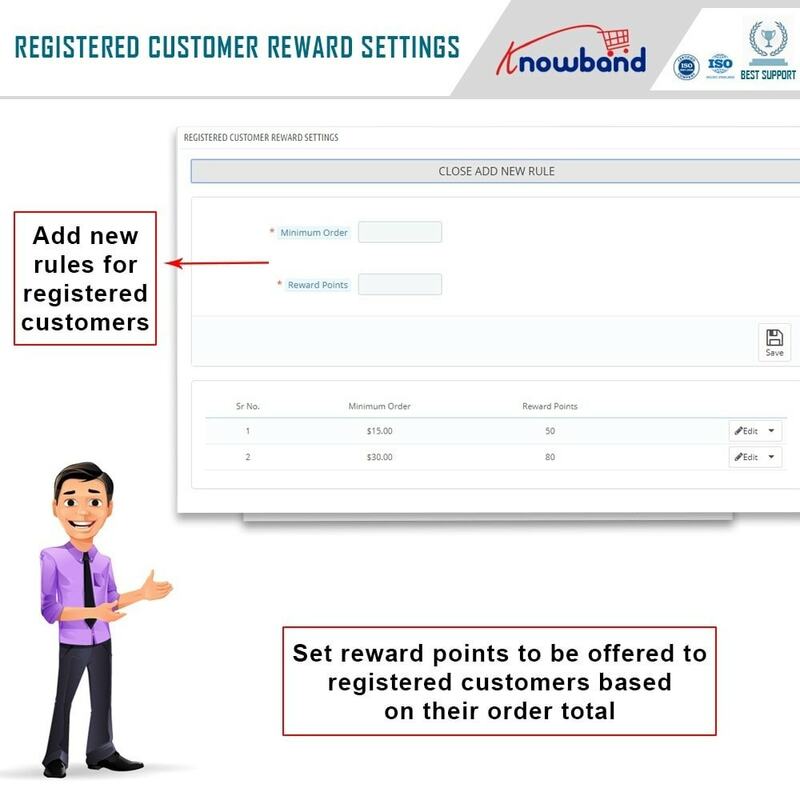 The Admin can view any customer's used and left reward points. The Admin can motivate the customer to buy more products to the website. The Admin can customize the email templates as per desires. The Admin can convert the regular customer to the loyal customer by giving the loyalty points to their purchase. Easy to install and configure; no technical knowledge required. Enable/ Disable the module anytime you wish to. 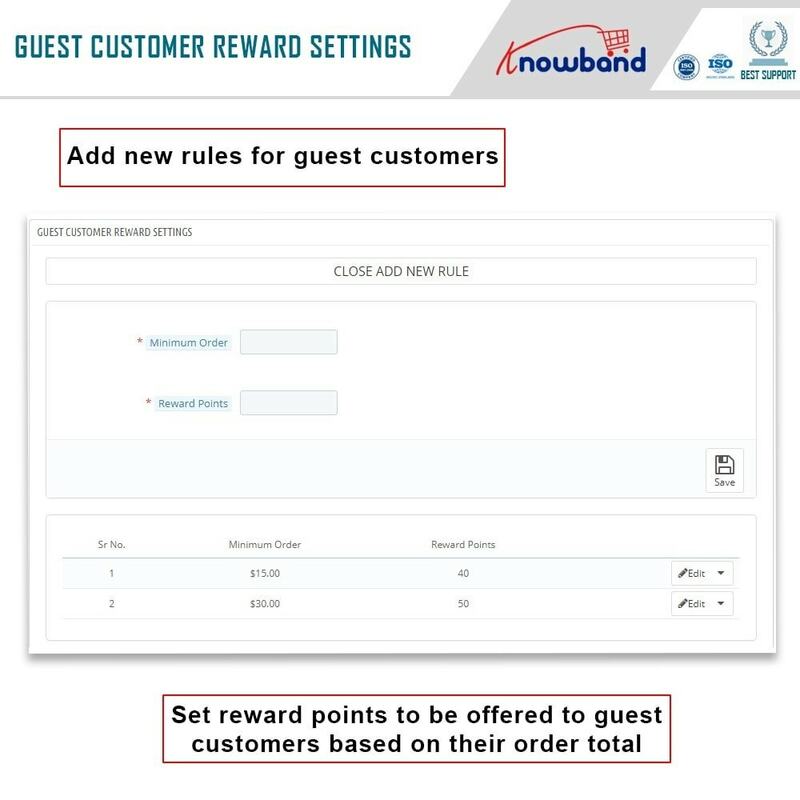 Separate settings and rules for guest customers and registered customers' reward point. Admin can define how much order total will earn how many reward points. Admin can set discount rules for guest as well as logged in customers. Customers can share their reward points with their friends or relatives who are not even using the store. This will increase site traffic because new customers will visit the site to redeem points. Allows the customers to track the reward points from their user account. Allows even the guest customers to earn and use the reward points. Custom CSS and Custom JS input to customize the look and feel of the backend itself. 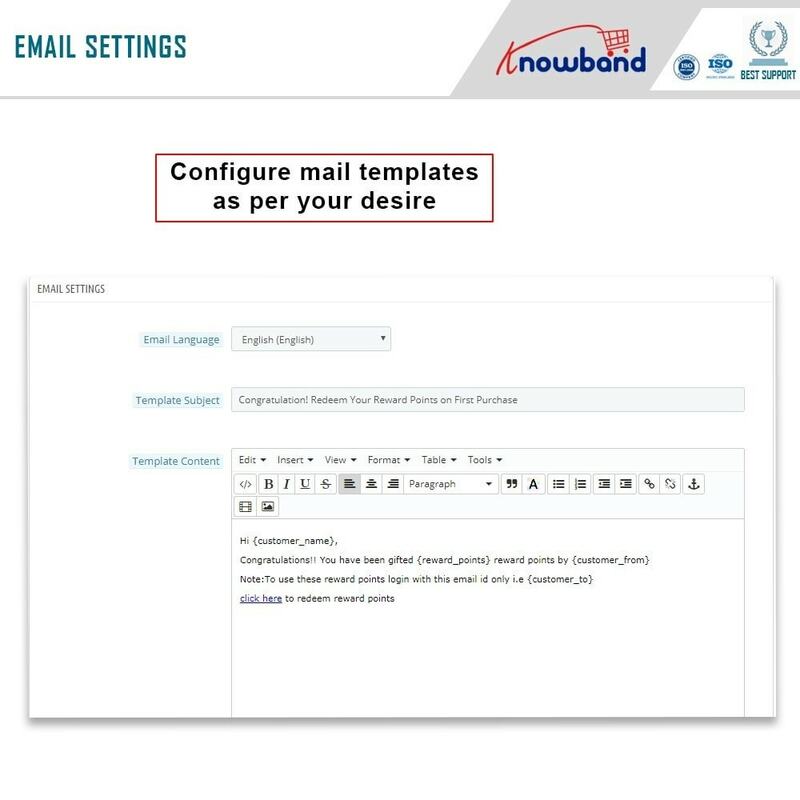 Edit and configure the email template from the backend. 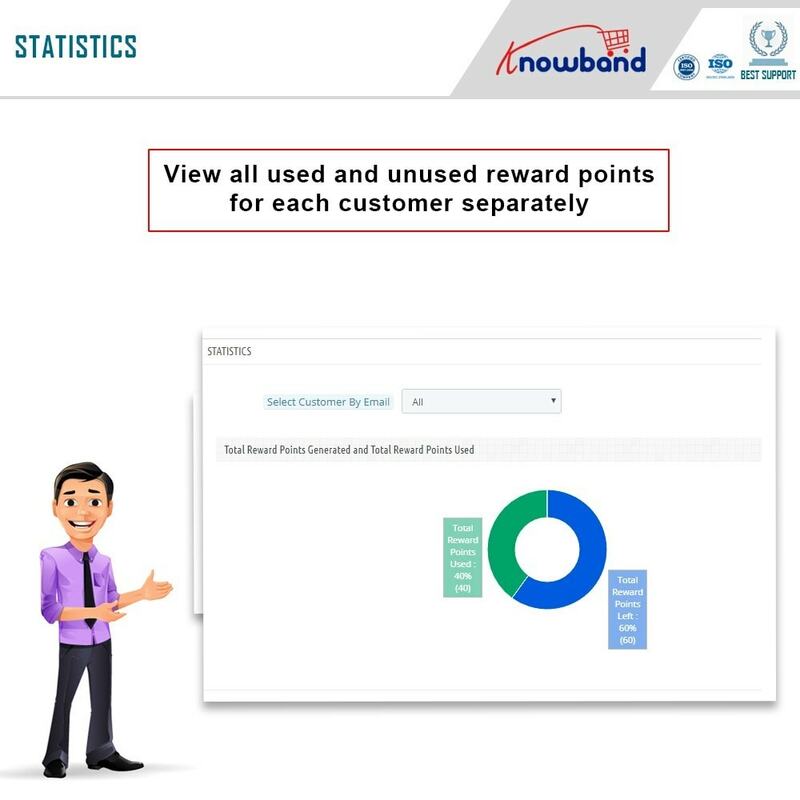 View customer wise stats to see how they have used the points and how much points are still left. 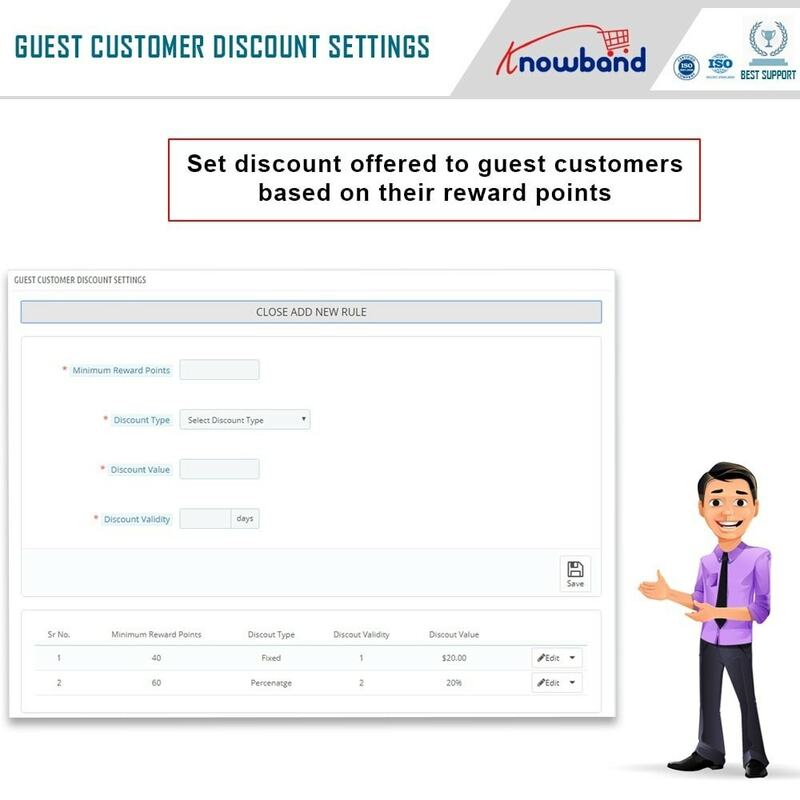 Reward points for customers which can be used to get a discount. 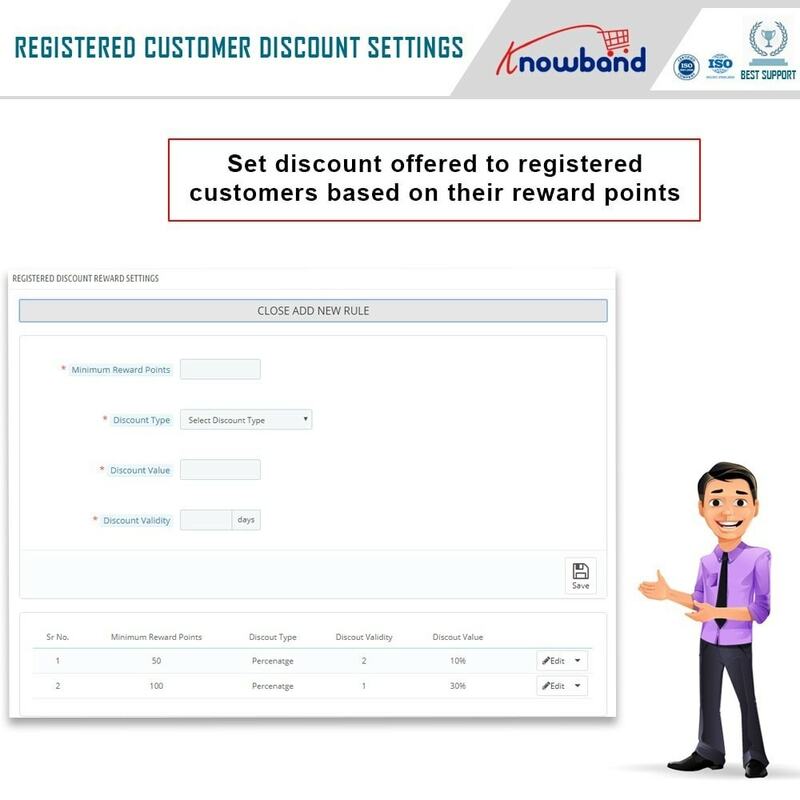 Once the customer has enough reward points which will satisfy the discount rule created by admin then the customer can use those reward points to get a discount. The customer can also view all of his/her reward points in his/her profile. Customers are encouraged to shop more and win more reward points.